Because the vast, 60,000-acre sprawl of Cape Coral requires flood-controlling canals that crisscross every residential area, Cape Coral real estate agents can market just about anything as waterfront, even the narrowest canal or the smallest freshwater pond. But on or off the Caloosahatchee River, values for Cape Coral waterfront have increased since the 1990’s. 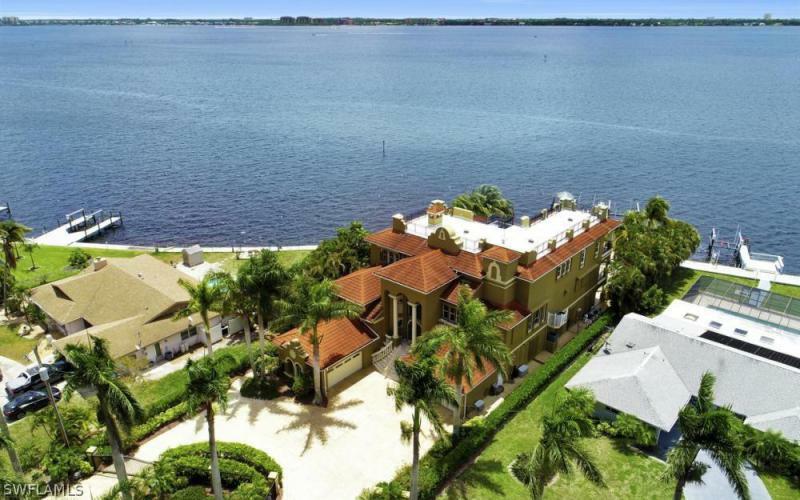 The most expensive Cape Coral communities, including gated, private preserves and individual homes, face the Fort Myers shore a mile across the river. The original heart of the Cape Coral City lies south of Cape Coral Parkway and even south of El Dorado Boulevard surrounding the Cape Coral Yacht Club at Redfish Point, built by Cape Coral founders Leonard and Julius Rosen. The Rosen brothers and Gulf American Corporation put up the first eight houses on nearby Flamingo Drive, and all of them are still standing. The yacht club, with a senior center, a sandy beach on the Caloosahatchee and a variety of other public attractions, is now a city-owned public park characterizing a proud, 45-year-old neighborhood of tidy streets, mature vegetation and homes on wide canals. Wide canals also thread through the area, flowing into the river and often raising property values. The Rubicon, the Bimini and the Antigua are the widest and most prestigious Cape Coral canals and the most expensive. Off the river but on the nearby canals, home values are enhanced by their no-bridge or one-bridge access to the river, allowing sailboats with large masts to reach the open water without obstruction. Another neighborhood of mature vegetation and wide channels lies west of the yacht club, stretching from 49th to El Dorado and on the route of the city’s annual holiday boat parade. Unrestricted access also is available at homes along Orchid, Savona and Palaco, and in Gold Coast Estates. These are individual neighborhoods where active volunteer associations have created bike paths and installed street medians. Just across the Midpoint Bridge and off Del Prado Boulevard-the city’s main commercial drag-lies the Cape’s commercial hub, with long-established commercial strips that are home to a variety of ethnic restaurants, bars, bookstores and small shops. Surrounding the area (and a key plaza known as Big John’s, defined by a huge fiberglass statue of a smiling man) are small condominium communities and a warren of tightly packed streets where single-family homes. For miles on and off Del Prado, homes run the gamut from old to new, offering a wide variety of prices. The history of the central Cape is freshly minted, and in some places the minting continues. At the southern end of Chiquita are the gated communities of Tarpon Point Marina and Cape Harbour which offer upscale home-buying opportunities with planned resort-like amenities including marinas, boutiques, restaurants and entertainment venues. The Pine Island Road corridor, which links the mainland to the barrier islands of Matlacha, Little Pine Island and Pine Island, offers a rich speculation for residential and commercial investment. Driving the north Cape gives a view of old and new, and of wildly varying economic opportunity along sometimes unkempt roads platted and paved many years ago, then virtually forgotten. Those roads and string-straight canals harbor new homes built sometimes alone and sometimes in clusters. The northwest Cape, above Pine Island Road, is the hot spot right now, with many Europeans having returned to Cape Coral real estate, encouraged by a strong euro. 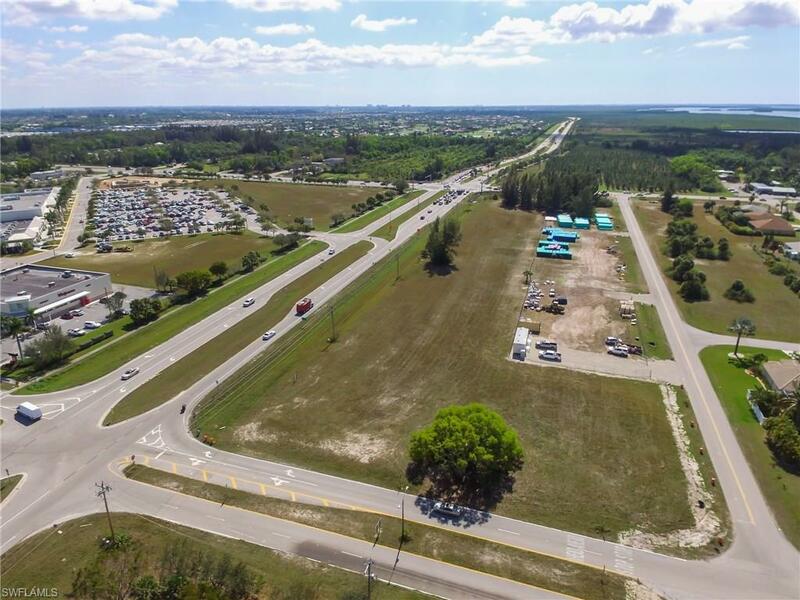 State-of-the-art bridges and roads, such as the neatly landscaped Del Prado Boulevard extension, make everything here quickly accessible from more populated parts of the county. 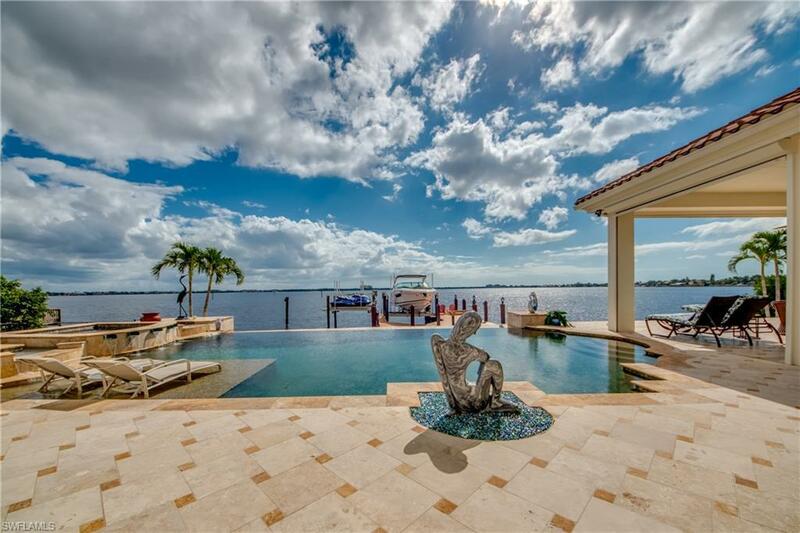 Cape Coral Real Estate: 2,773 Cape Coral properties priced for sale from $6,900,000 to $1,750,000 | Showing available Listings from 1 to 25.